BBHC is home care agency offering personalized non-medical care by the best-in-industry caregivers. Whether it’s due to an injury, complication or aging, we all need a little extra help. Family members and friends cannot always be there 24 / 7. That’s where we come in and make a difference. We help seniors live their best life so they can continue to do all the things they love, in the comfort of their home. We offer a large pool of delightful, thoroughly vetted and experienced caregivers with a wide variety of skills. We aim to keep your preferred caregiver dedicated to you so you can continue seeing the person you’ve come to love. Less than 15% of caregivers actually meet our stringent hiring criteria. Our plan of care is tailored to your exact needs. After successfully serving thousands of families like yours since 2003, we know how to provide exceptional care. We are available on-call 24 / 7 when you need us and are accustomed to assisting families living apart. With BBHC, you get competitive rates and best value. No contracts, no hidden or cancellation fees. In addition to great care, we provide ongoing support to you and your family. We even handle all the insurance paperwork, ensuring you get the benefits you deserve. Maria far exceeded my expectations for home health care. As it happens, I have seventeen years working in the home health care field and have never met a kinder, more knowledgeable, harder working aide. Her calm manner and confidence gave me what I needed to go forward. I just wanted to let you know, as I have told you before, how very much I appreciated you sending Evelyn that morning when I was so in need of help. She was truly an angel. Thank you again for being so kind and understanding of our problems and for being there for us. My Mother has been cared for by a truly wonderful woman. She takes care of my mom like she's her own mother. She also keeps her mentally stimulated and Mom's doctors actually are amazed at how well she's doing. Donna continues to be a HUGE blessing in all our lives. Thanks to her attention Dad is feeling much better! Thank you for your wonderful aides! Ann has been wonderful, pleasant and very nice to have around and part of our family. I can't thank you enough for the excellent care and attention you gave to my Dad. He was a man of few words, but told me how much he liked and appreciated you. Thank you for being there with my Dad. You were a great comfort to him. I know you will continue to provide excellent, compassionate care. I want to thank you for being so kind and gentle with my family during a most difficult time. Surely you are an angel as you appear when I am in terrible need. Everyone has an angel and you are mine. With love and gratitude. Your expertise has been a source of great comfort to us. The case manager (at the hospital) told me that she has had the opportunity to observe your aide with my father many times, She said she is fantastic with him and so much more attentive than other caregivers she has seen over the years. Is Home Care Right For Me? Do you have difficulty with basic household tasks, such as laundry, cooking or cleaning? Is bathing a challenge? Or dressing, due to limited movement or mobility? Could you use help with daily tasks or getting in and out of bed? Are you not able to live independently? Do you worry or get anxious when you’re home alone? Do you feel safe and secure? Do you fall frequently or forget to take your medications? If you answered yes to any of these questions for yourself or for a loved one, then take advantage of BBHC’s free consultation today! What is the process for obtaining a caregiver? We begin with an assessment to understand the complexities of your condition and to discuss with you any treatment or remedial action. Together and with coordination from your physician, we design a plan tailored to your needs. We thoroughly examine your requirements and all aspects of the care you require. We then match you with a caregiver based on your preferences and goals. 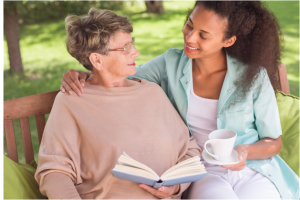 We consider dozens of attributes in matching you with a caregiver, including level of skill / experience / specialist training required in your care program, your goals & objectives, shared hobbies or interests, family preferences, among many others. What if my first choice doesn’t work out? Not a problem at all. We will always ensure you are pleased with your caregiver. We will do our best to immediately get you another caregiver so the continuity of your care is not disrupted. Do you require contracts that lock people in? You are not locked into a specific time contract. Whether you want short term, long term or a specified number of visits, we can surely accommodate. What kind of professionals do you offer for Home Care? We provide CNA’s, HHA’s and Companion Services. If you want to read about the options, please visit the Caregiver section of the website. However, it may be easier to work with us in discussing your specific needs and hear our recommendations. Are there background checks? Are they well-trained? Yes. All professionals are well-qualified and highly-experienced. They are insured and bonded, licensed and certified. They undergo a very rigorous hiring process which includes background, security, credit checks, license, experience, certificates verification, health checks, driving records, as well as multiple in-person interviews. How will my caregiver know how to help me? What if something out of the ordinary happens? Following the intake, your assigned caregiver is given a full report of your condition and medical background. We are in daily contact with our caregivers and require them to notify us when they arrive at your home. Should there be any changes in your physical or mental status, they are also required to immediately report to the office. They are also experienced and trained in the proper course of action in the event of any unexpected circumstances. Is there a minimum hourly requirement? We offer bath visits from 1 to 2 hours. To ensure continuity of the same caregiver and service, we typically like to schedule 4 hour shifts minimums. However, please contact us to discuss your requirements in more detail.